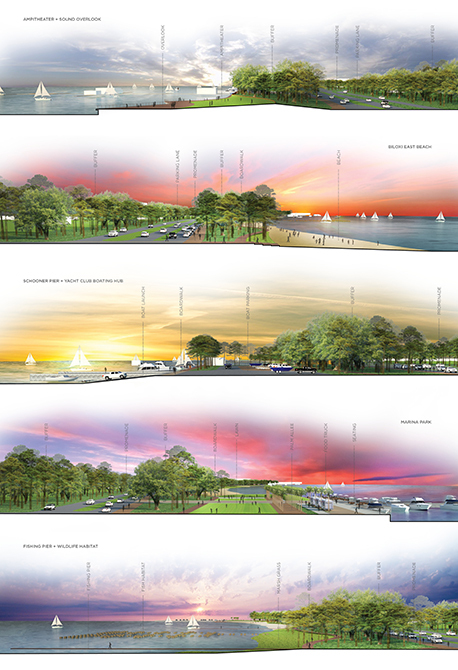 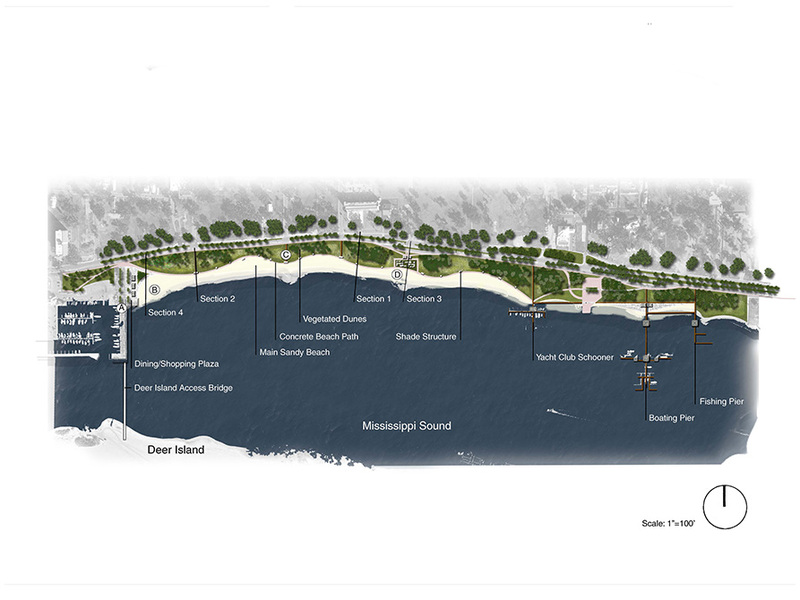 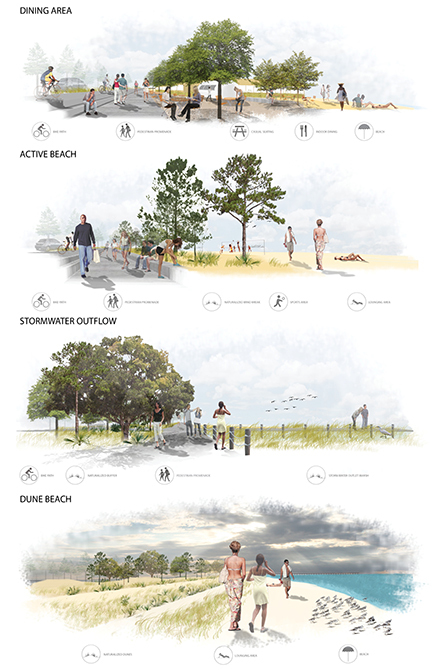 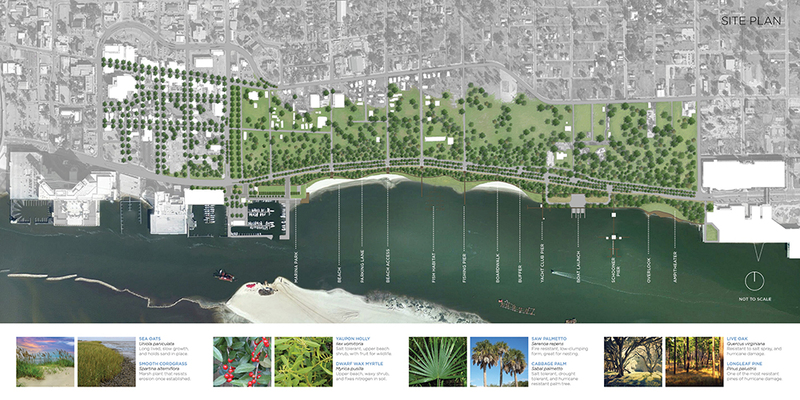 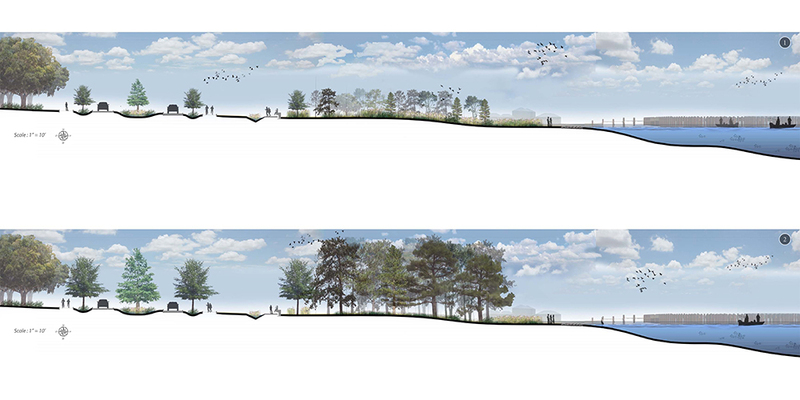 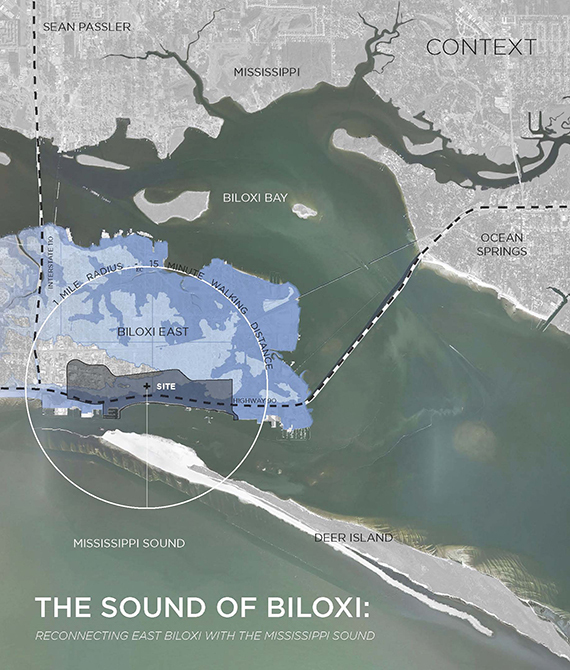 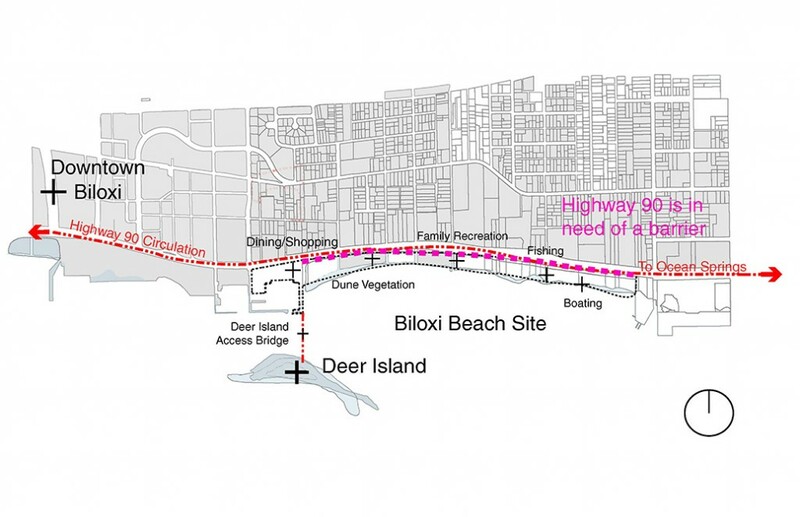 The site for the fall 2013 “Biloxi Beachfront Reimagined” advanced topics studio was the main beachfront in Biloxi, Mississippi, which has been highly modified by coastal engineering, development on the dune system, and the impacts of Hurricane Katrina. 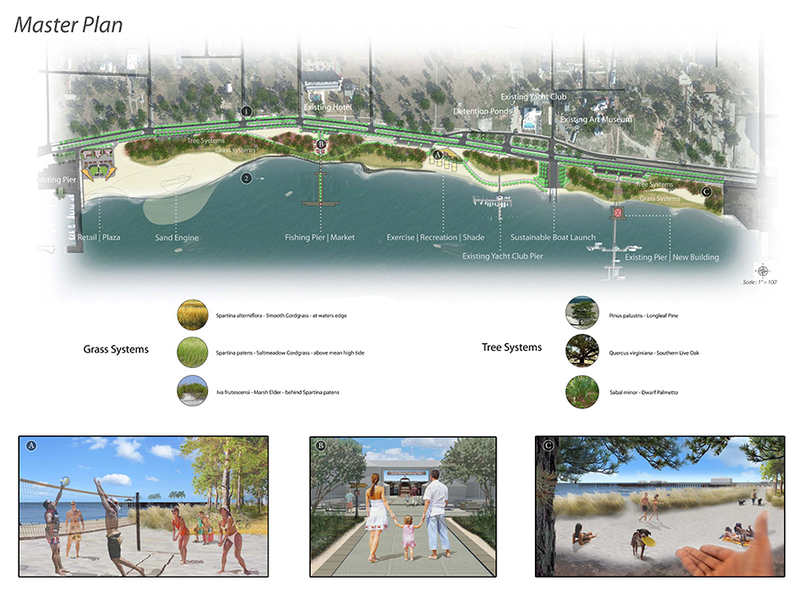 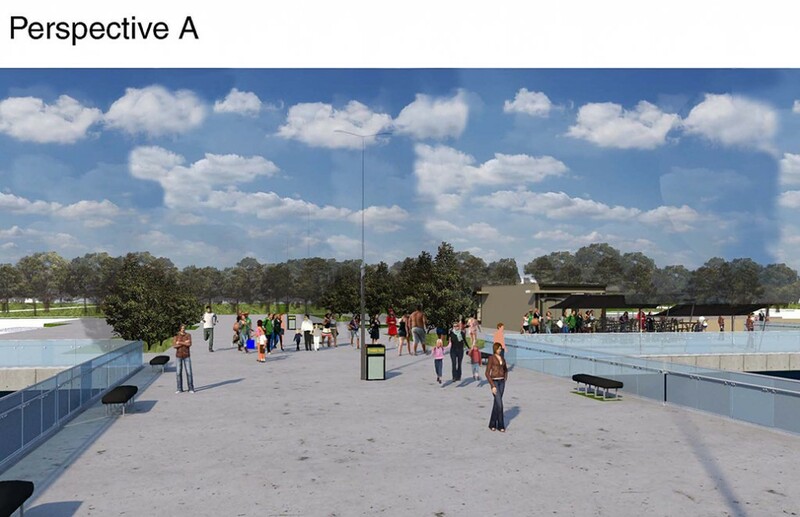 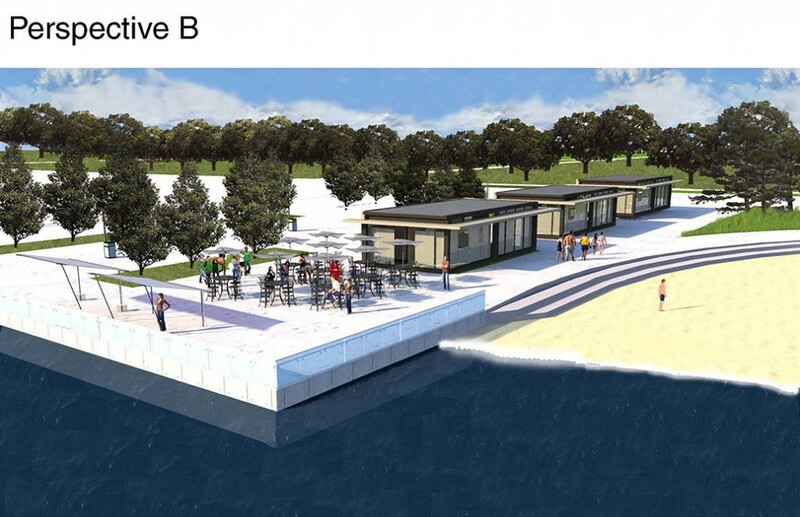 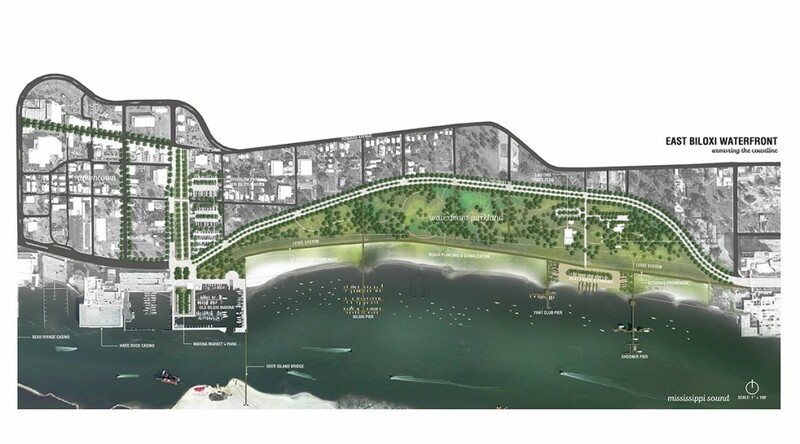 Students were asked to build on earlier strategic planning to develop proposals for the beachfront that would connect it to other open spaces, neighborhoods, and downtown and enhance the beach experience and the beachfront amenities while supporting economic development and sustainable infrastructure. 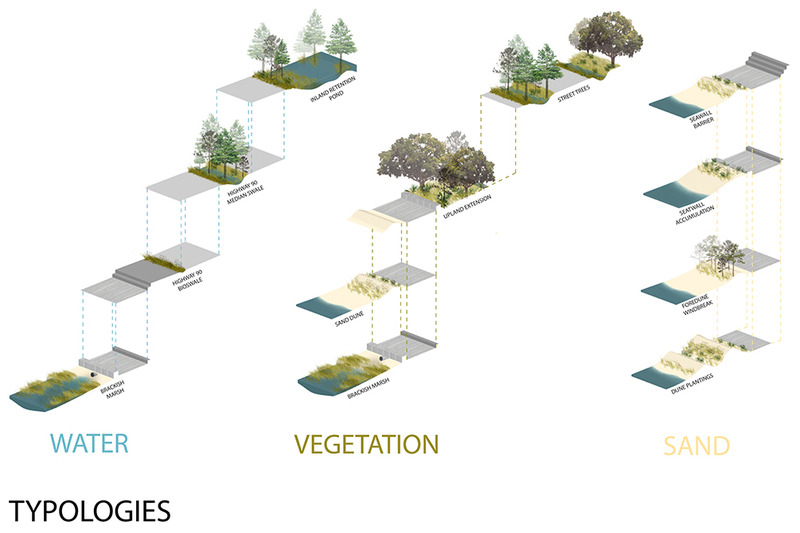 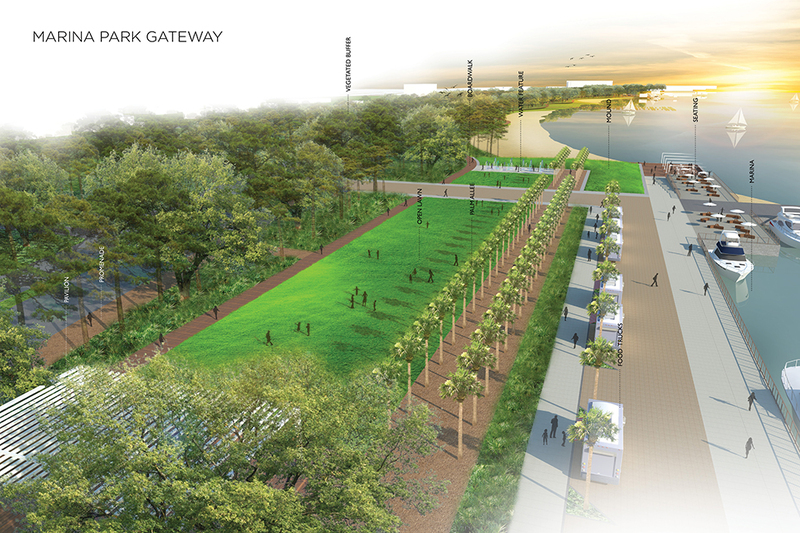 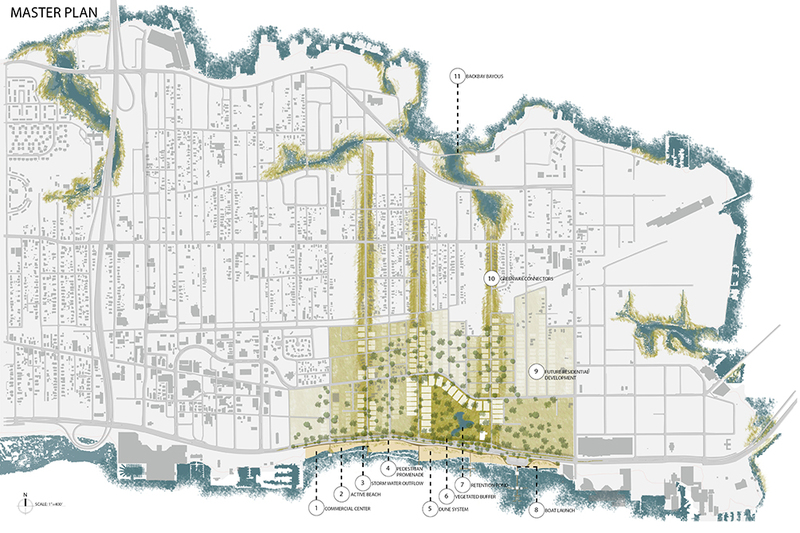 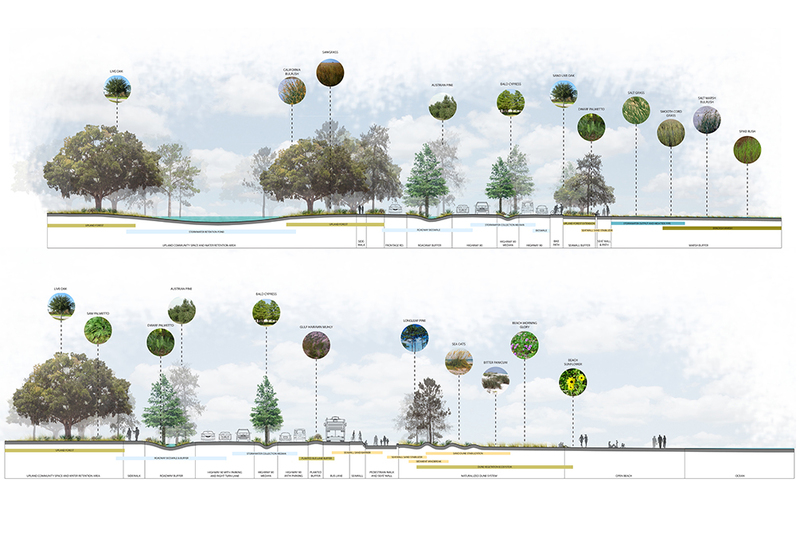 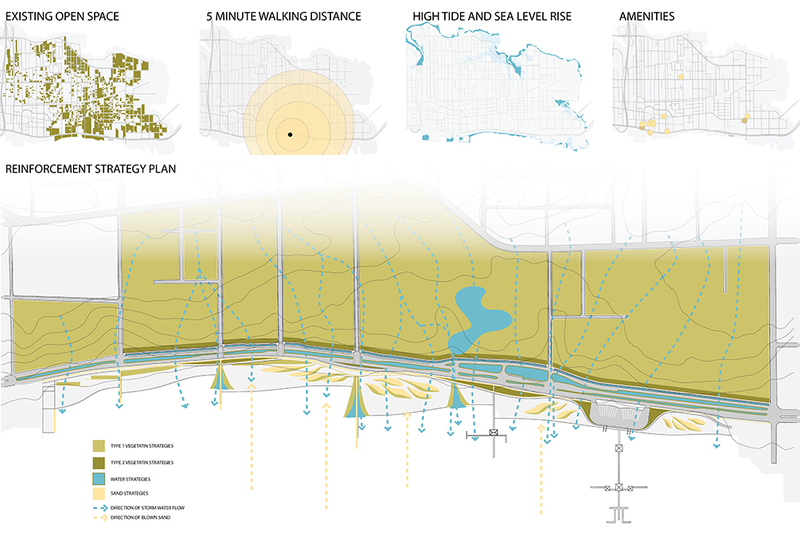 The studio focused on the design of parks as resilient hybrid ecological systems and encouraged students to engage with the technology of water, vegetation, and site engineering within an existing social and cultural context. 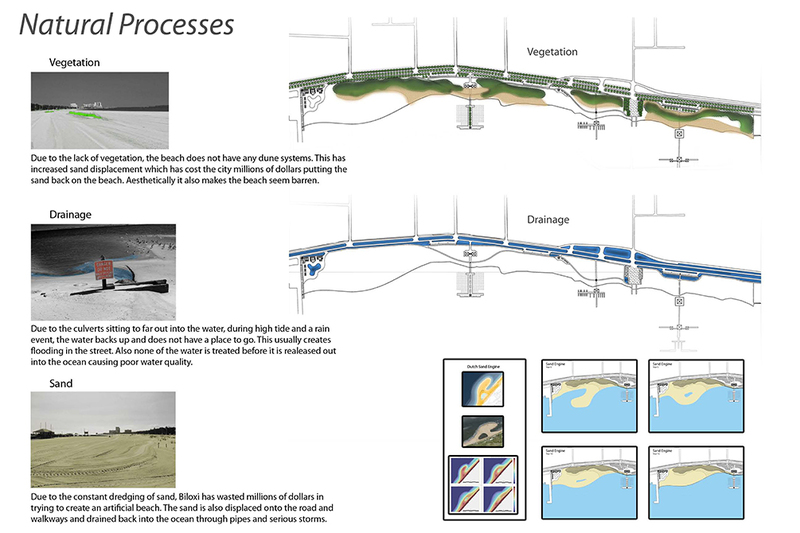 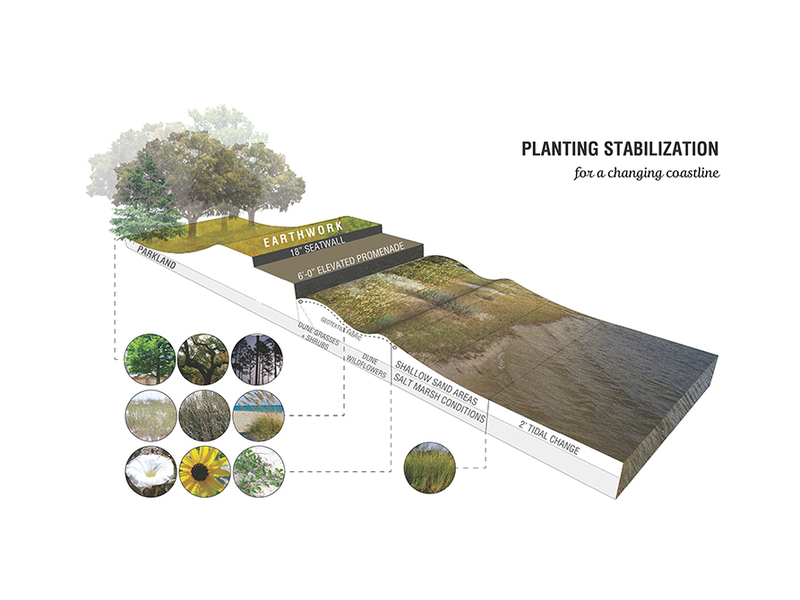 Students explored the existing and future site systems, vegetation, infrastructure for storm protection and drainage, sand management, fauna, and water and energy as a way of improving the landscape’s performance. 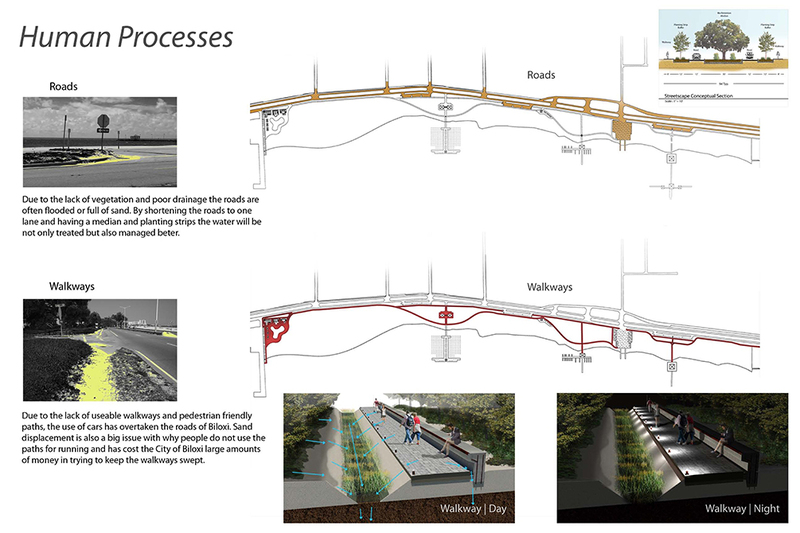 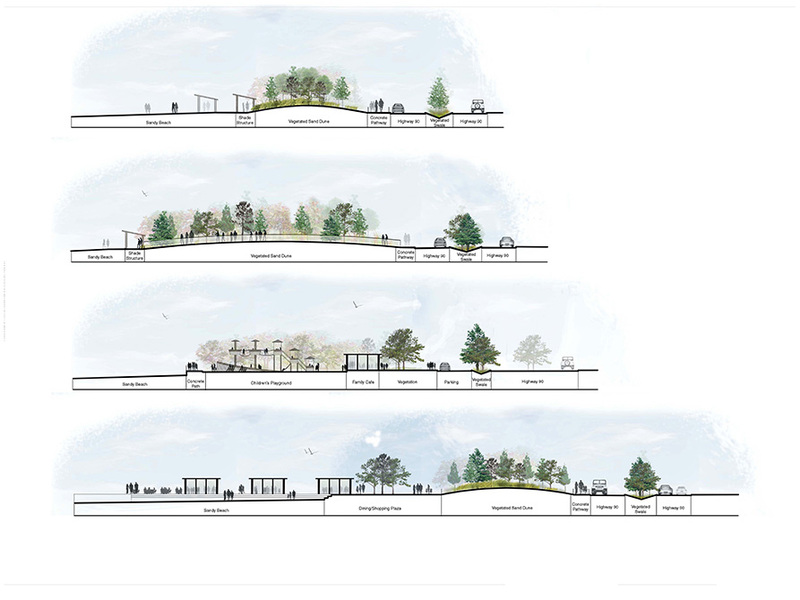 They were asked to develop an improved facility, considering the pragmatics of open space design, such as circulation and parking, access and connectivity, programming, maintenance, and management.